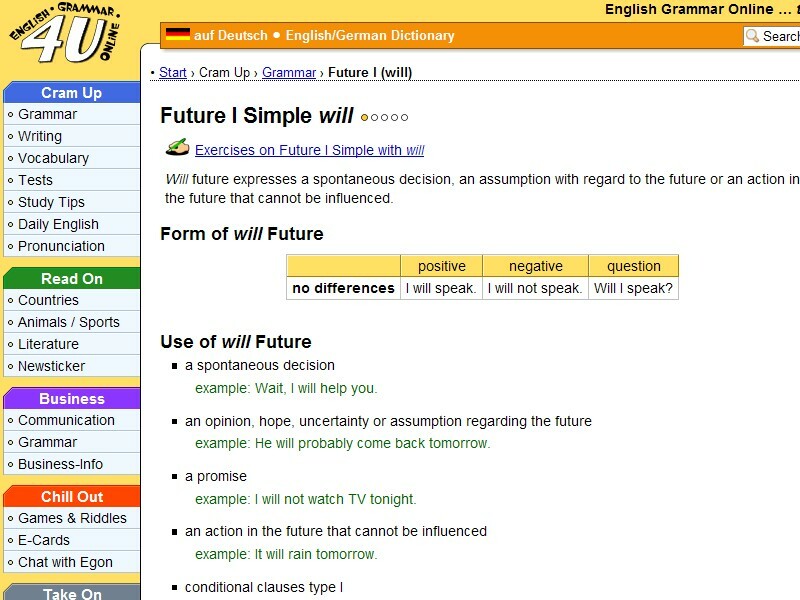 This page briefly explains the use of "will" in the English simple future tense. There are some examples and exercises for you to practice the use of this form in positive, negative and question sentences. The exercise will tell you if you get the answers right or wrong.